London is burning, but who set the fire? 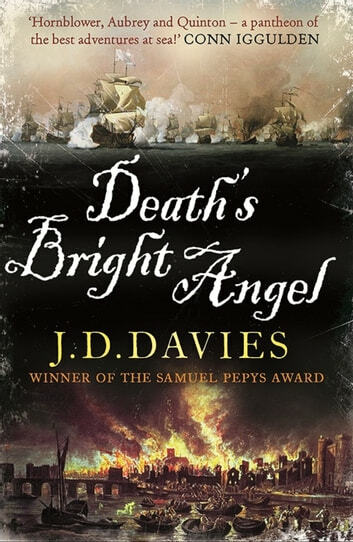 In the weeks leading up to the Great Fire of 1666, Matthew Quinton, master of the H.M.S. Sceptre, is sent into the heart of London, seething with foreign plots and political paranoia, on a dangerous mission: to stop a terrorist ring from destroying the capital. Quinton is the only man that can stop these men, who want to open the country to invasion by destabilizing the English people and fueling rebellion. But unrest may not be the only thing these men will fuel… The heat is rising. 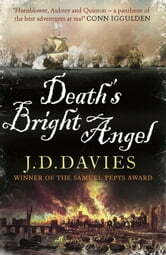 With fast-paced action and fantastic historical detail, Death’s Bright Angel will appeal to fans of Angus Donald and Conn Iggulden.